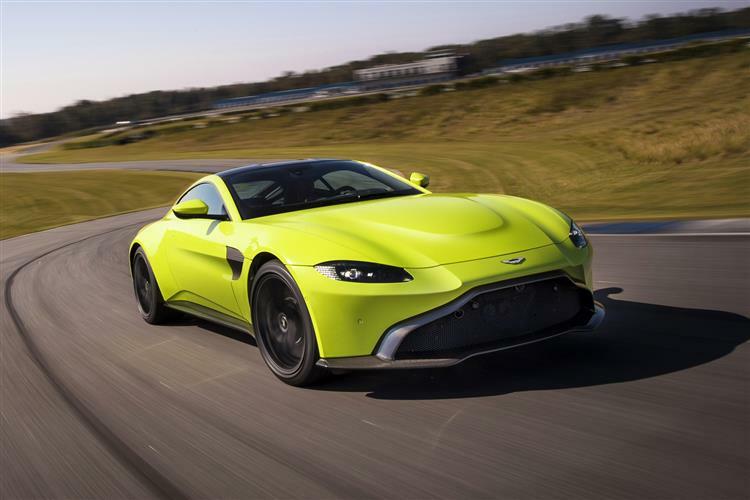 If you can't afford that top end exotic supercar, Aston Martin's new generation Vantage could be the next best thing. Jonathan Crouch presses his nose to the glass. 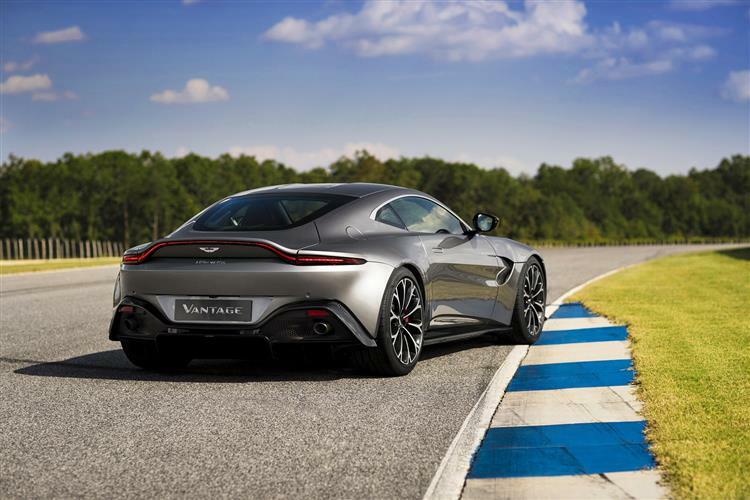 Aston Martin's new era Vantage is a modern high performance icon of unmistakable character, styled to seduce and engineered to thrill. It's the most affordable supercar the British brand makes, but many will tell you that it's arguably also the very best. This time round, there's Mercedes-AMG-sourced V8 power beneath the bonnet, but the performance is still as sensational. This was the first Aston Martin to directly take on Porsche and Maserati and it remains an emotional but very tempting choice. There was a time late in the last century, when 'Aston Martin' meant something very different. An iconic British brand, to be sure, but a maker of handbuilt sportscars aimed at older buyers romanced by name and heritage in the face of compelling evidence that German and Italian rivals were better made and finer to drive. The gorgeous DB11 of 2016 was a sign that the future might be different but it was still an old-style GT rather than an out-and-out sportscar, the kind of design still most likely to appeal to Aston enthusiasts. A slightly smaller model with younger, more dynamic orientation was needed. A car that someone with little prior interest in the brand might buy. A car you could seriously choose over a Porsche 911 or a Maserati GT. A car like this one, Aston Martin's new generation Vantage. For seven decades, the Vantage nameplate has been the heartbeat of some of Aston Martin's purest models and was first used in 1951 on a high-output engine option for the DB2. So what's in store this time round? Let's find out. 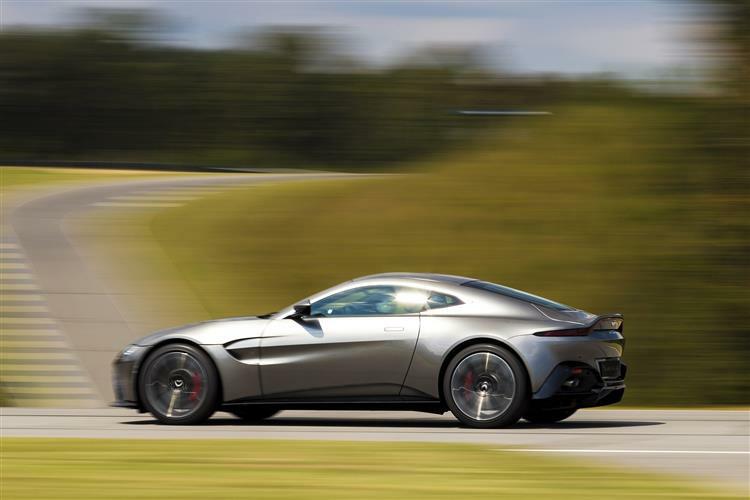 Like the DB11, the Vantage borrows its engine from what is arguably its closest rival, the Mercedes-AMG GT. 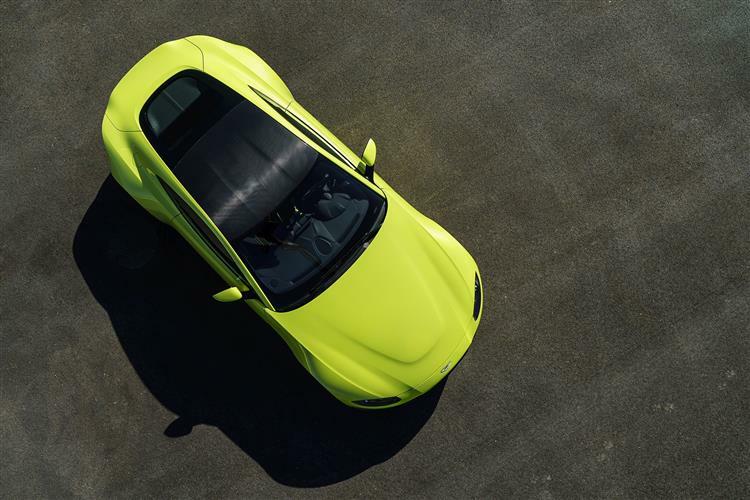 This 4.0-litre twin turbo V8 develops 510PS and puts out 685Nm of torque in the Vantage's state of tune (10Nm more than it develops in the DB11). Aston says that this gives its entry-level more a lightly more urgent feel than its pricier GT-orientated stablemate. It should certainly feel like that on the road, where the 62mph sprint is dispatched in just 3.7s en route to a 195mph maximum. 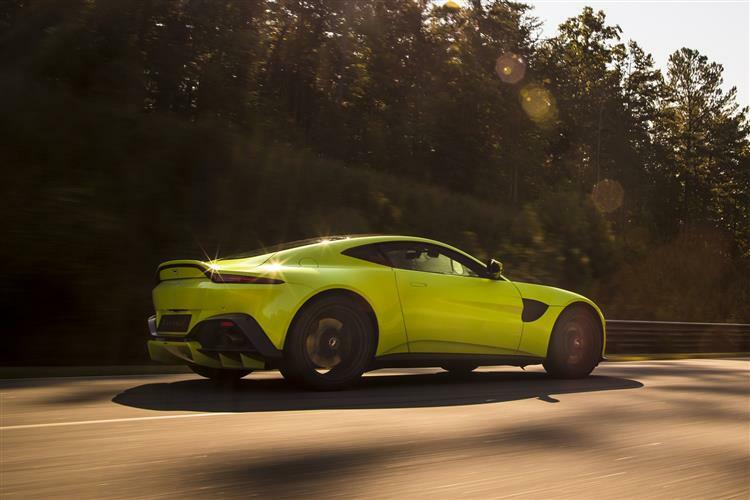 Detailed tuning of the induction, exhaust and engine management systems has given the Vantage a truly intoxicating character and soundtrack. 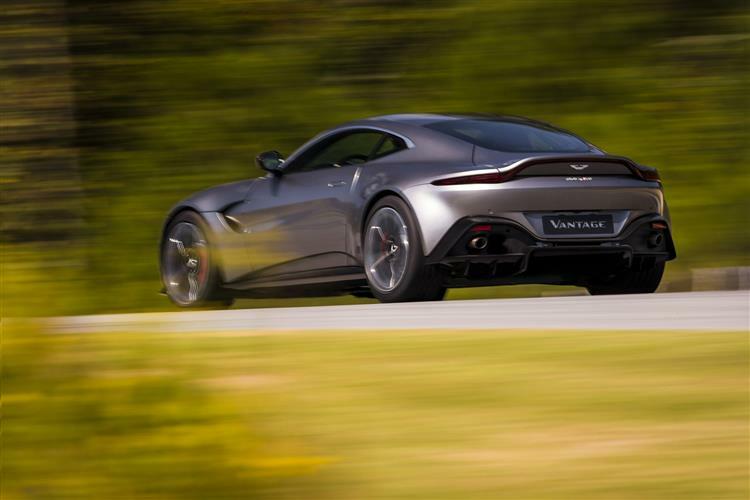 Power and torque is deployed to the rear wheels via a rear-mounted ZF eight-speed automatic transmission and for the first time on an Aston Martin, this Vantage also features an 'E-Diff' Electronic Rear Differential. This differential is linked to the car's electronic stability control system, so it can understand the car's behaviour, and react accordingly to direct the engine's power to the relevant wheel. Unlike a conventional limited slip differential, it can go from fully open to 100% locked in a matter of milliseconds. There's also a latest generation Adaptive Damping System which incorporates Skyhook technology and offers the choice of Sport, Sport Plus and Track modes. 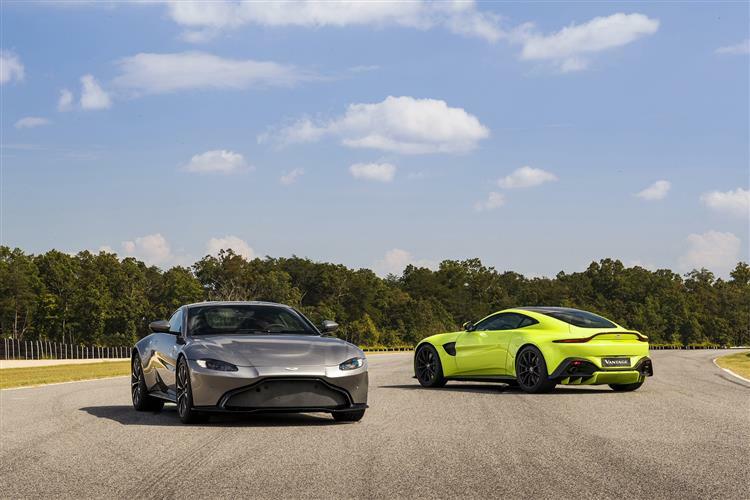 Aston Martin has taken on board our previous criticism that its products all looked too similar and vowed that in future, each design in the range will have its own distinct personality. 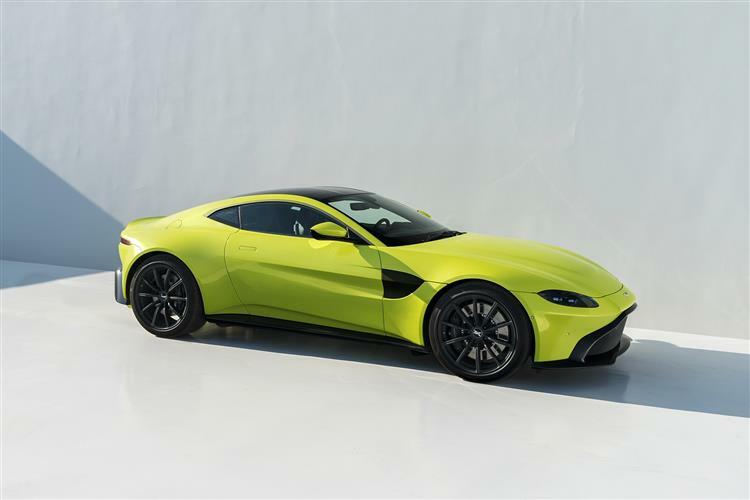 That starts here with a new generation Vantage model that has a front end dominated by the lowest-sited functioning grille every to have been used on one of the company's cars. It gives this design a predatory stance also emphasised by minimal front and rear overhangs, muscular flanks and broad haunches. 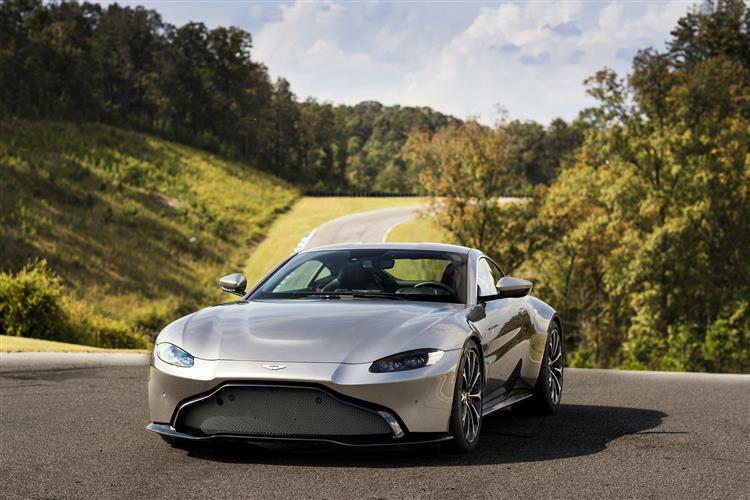 Under the skin, the chassis is an evolution of the bonded aluminium structure first seen on the DB11, though 70% of the structure's components are new for Vantage. Inside, there's an appropriately focused sports car cockpit that rejects long, fluid curves in favour of sharp, focused lines denoting the more aggressive nature of the car. A high waist interior theme and lower driving position creates a more immersive driving experience, and contributes to significant gains in occupant space and significant improvement in headroom compared with the previous model. A combination of rotary and toggle style controls have been used for their tactile and intuitive functionality. The interior also offers generous stowage space, with useable room behind the seats and generous double-tier storage areas. Plus you get a 350-litre boot, large enough to facilitate weekend trips. You'll want to know the price - around £121,000 for the initial V8 Coupe model you see here: Volante convertible and V12-engined variants will follow. That's quite a lot more than the outgoing car, which could be had for under £100,000. At least for the money being asked, you get plenty of kit, including keyless start/stop, a tyre pressure monitoring system, a parking distance display, park assist and front and rear parking sensors. The In-Car Entertainment system - controlled and viewed via a centrally mounted 8" LCD screen - comprises of the Aston Martin Audio System, Bluetooth audio and phone streaming, iPod, iPhone and USB playback and an integrated satellite navigation system. Being an Aston Martin, the Vantage also features a high level of craftsmanship, evidenced by flawless paintwork, luxurious Alcantara and leather upholstery and levels of finish optimised through the use of tactile natural materials of the highest quality. There is also extensive scope for personalisation via a wide choice of options. These include forged alloy wheels in a variety of finishes, an optional 'Sports Plus Collection' (comprising Sports Plus seats and Sports steering wheel), carbon fibre interior and exterior detailing and a Premium Audio System. The 4.0-litre V8 fitted to most Vantage models may be smaller than the old 4.7-litre unit but it isn't especially economical; you'll do well to better 20mpg in regular use and the Co2 figure is 245g/km. At least a decently sized fuel tank means a reasonable operating range - expect around 300 miles on average. Overall, you'd think that you could hardly annoy Greenpeace more if you were to attach a whale-harpooning gun to the bonnet. Yet should you be inveigled into conversation with a bearded type, you could point out that in some ways, this car is very green indeed. There's no wasteful recycling needed here because due to its build, no recycling is needed. There's nothing to rust and nothing to decay. Look after your Aston and it will still be thrilling people in fifty years time. Back in the here and now, insurance of course is a top-of-the-shop group 50, but at least repair and servicing costs aren't desperately exorbitant. This car is, after all, designed for everyday use and must be relatively affordable as such. Residual values are about the same as those of a Porsche 911 - which means that they're very good indeed. 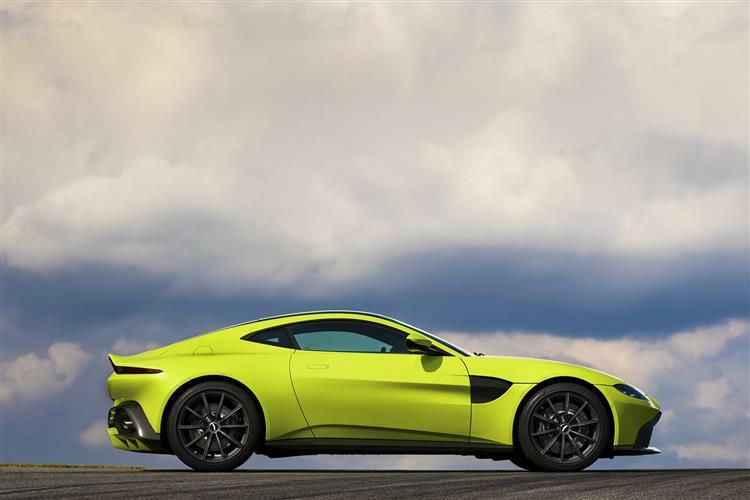 Without the Vantage, it's doubtful whether Aston Martin would be the company that it is today. This is the car that keeps the tills ringing at Gaydon - and for good reason. For us, it's the best thing the company makes, the best to drive and the best looking, so it's nice that it's also the most affordable sportscar in the range too. Of course, 'affordability' is a relative term when you're talking about a supercar costing at least the best part of £125,000. There is, we think, something soulless about the clinical perfection of a Porsche or a Mercedes-AMG model that you just don't get here. And it's one of the reasons why you'll find any Vantage simply overflowing with the special feel you want in the sportscar you've dreamed of owning all your life. More exclusive than a Jaguar F-TYPE R, more traditional in its layout than a Porsche 911, it's brilliant and it's British. Enough said.